Offcourse Karl Lagerfeld must have thought something before he made a statement like this.A man is judged from the clothes he wears.Everyday we come across many people who wear different attires based on different occasions. I would refrain from mentioning exceptions like Lady Gaga. This festive season I have created an ensemble for guys. A man looks dapper on blazer, thats what I've felt lately. I certainly wear my blazers whenever I attend any party or wedding. I was amazed when I saw this new contest on Indiblogger in association with Shoppers Stop,the leading retail shop.I prefer a simple and neat look. My prime intention was to create something which would make you look dashing and go women drool over you. Offcourse ,I had kept the winters, Christmas, Diwali and New Year in mind while selecting. Coming back to Karl Lagerfeld's statement, I would wish to put some light on that.First impression is the best impression. Try to iimpress people and when you do so , you shall certainly make yourself stand ahead of everyone whatever be the scenario. The statement speaks for itself .Hence, I have created this ensemble that will give you a respectable look and make you a perfect lad for all the girls. So , we start from bottom to top. 4.US Polo Assn - Mens Long Sleeves Yarn Dyed Checks Shirt. 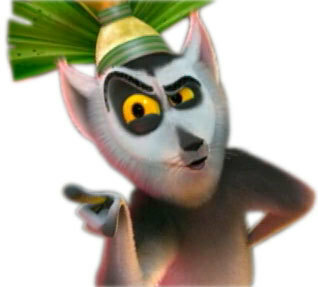 Look Dashing, Impress and Express yourself and offcourse don't forget to do the King Julian act. Offcourse even you will like to move it, move it this festive season. This is an entry for the competition “The Perfect Festive Look” by Indiblogger and Shoppers’ Stop.